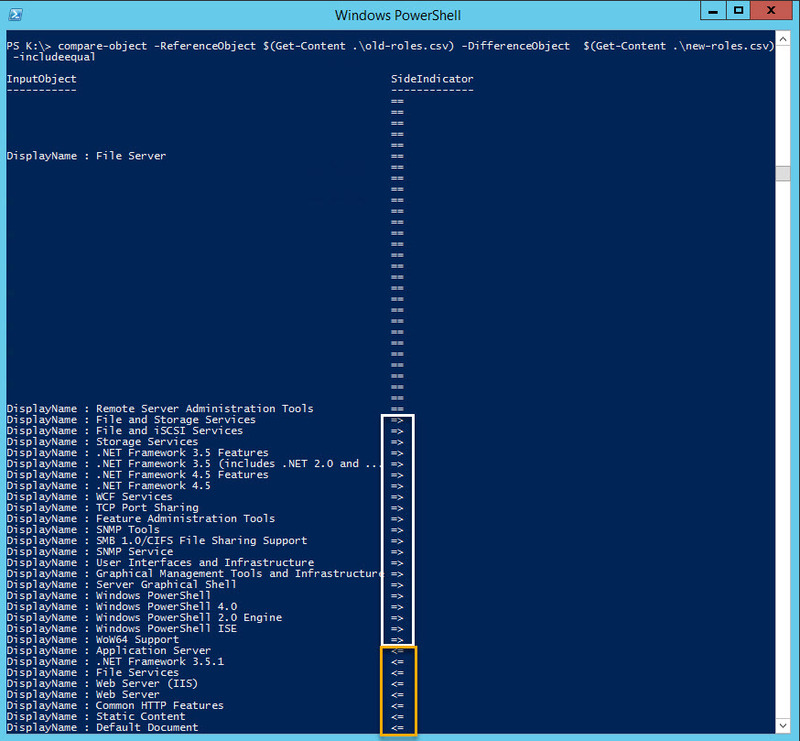 I’m building a new 2012R2 server that will replace an existing 2008R2 application server. 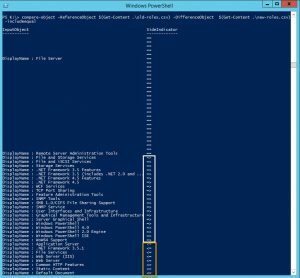 I want to see what roles I need to install on the new server, so I run the Get-WindowsFeature cmdlet in PowerShell to give me what I need. 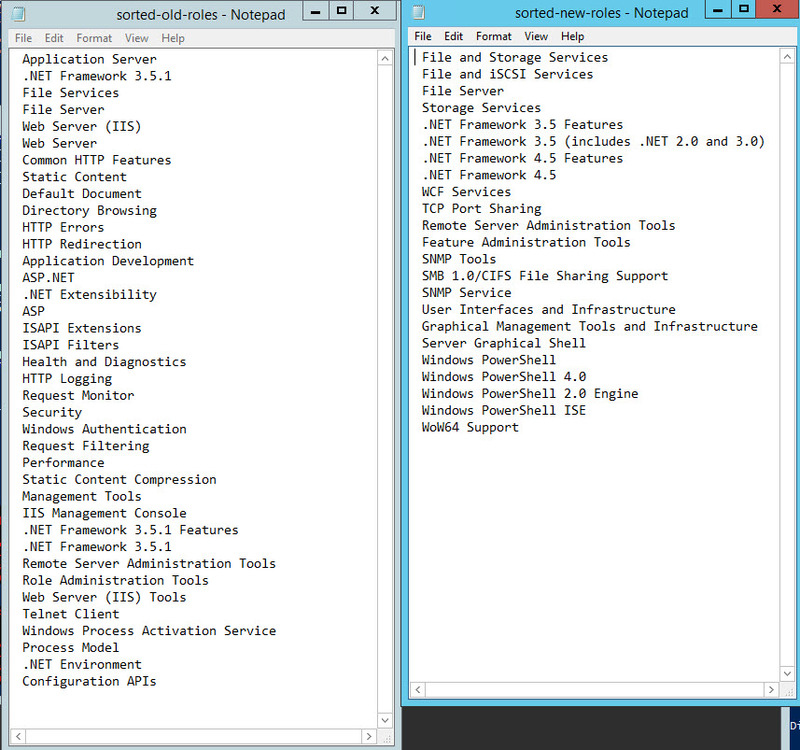 I have saved the output of Get-WindowsFeature to .csv on 2 servers, a new server and the old, production server. To compare the files, use the compare-object cmdlet. The -ReferenceObject and -DifferenceObject options weren’t needed in this example. I got the same output with and without it. 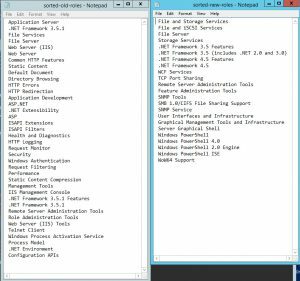 So, on both new and old server, File Server, Remote Server Administration tools, are installed. 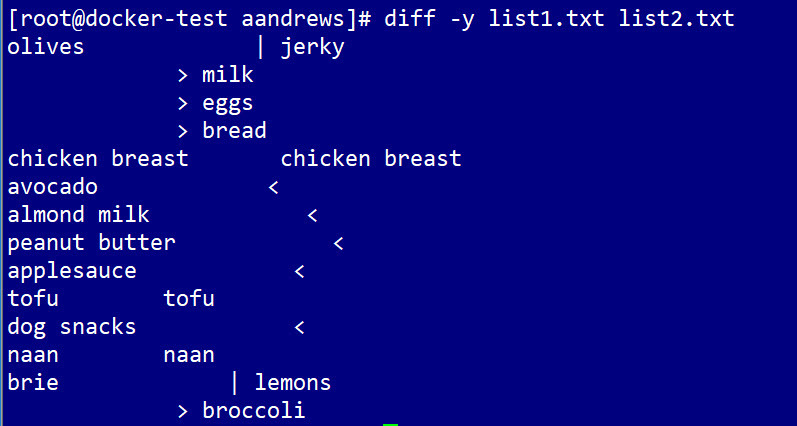 There are many useful applications for diff’ing files. What are some of your most common uses? You can assign the files to variables and use the split() function to get rid everything up to a delimiter and output the ‘newly cleaned’ file to a new file. 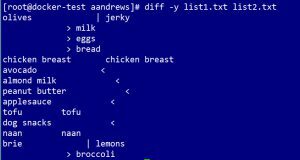 Of course, just using the diff command on both files in Linux would have given me what I needed in 5 seconds, but as we know, it’s all about learning the process. White space These lines are common in both files. In both files, you have chicken breast, tofu and naan. > The files differ here. the second file listed in the command has this entry. The first file doesn’t, like milk, eggs, bread and broccoli. < The files differ. The first file only has this entry. The second file doesn’t, like avocado, almond mil and peanut butter. | These lines differ, meaning if we were to merge the two files, we’d have to resolve if we want to keep one or both entries.